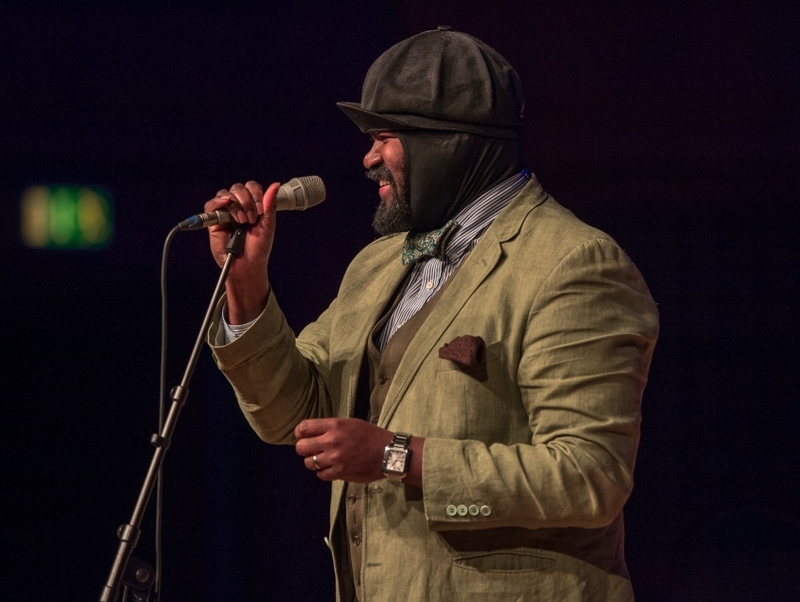 Brooklyn-based singer/songwriter and actor Gregory Porter is a jazz vocalist who got his start performing in local jazz clubs in San Diego. While attending San Diego State University on a football scholarship, Porter was sidelined by an injury. During this time he began to focus on his singing and met his future mentor and friend Kamau Kenyatta, a composer, pianist and saxophonist. Kenyatta would play a significant role in Porter pursuing a career in music. In 1994 Porter was cast in a leading role in the musical It Ain't Nothin' But the Blues, which eventually made its way to Broadway, despite having little acting or theater experience. As a resident performer at Smoke Jazz & Supper Club in New York City, Porter frequents other jazz nights around the city and continues to record music, such as his 2010 debut Water and his 2012 follow-up Be Good.